Formula One will replace grid girls with grid kids from 2018, the sport's organisers have confirmed. It was announced last week that F1 would follow the lead of darts by ceasing to use walk-on girls ahead of grands prix. 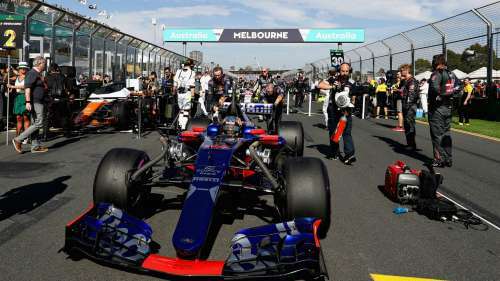 An F1 statement said the presence of grid girls was "clearly at odds with modern-day societal norms", yet the decision nevertheless prompted criticism in certain quarters, with Bernie Ecclestone among those to express dismay. On Monday, F1 and the FIA announced a new partnership that aims to "make the pre-race ceremony more relevant and interesting for fans, especially the younger ones." A statement read: "The joint initiative will involve the local grand prix promoter working alongside ASNs – the FIA-recognised national sporting authorities – who will provide a unique opportunity to youngsters and their families to be part of one of the most exclusive and exciting moments of the whole race weekend. "The youngsters will be chosen by their motorsport clubs on merit, or by lottery, and will already be competing in karting or junior formulae. The lucky few will then be able to accompany and stand alongside the 20 best drivers in the world on the grid as they prepare for the race." Sean Bratches, F1's managing director of commercial operations, said: "This will be an extraordinary moment for these youngsters: imagine, standing beside their heroes, watch as they prepare to race, the elite of the elite in motorsport, to be there, alongside them in those precious few minutes just before the start. "What an unforgettable experience, for them, and their families. An inspiration to keep driving, training and learning so that they can dream of one day being there themselves. "What better way to inspire the next generation of Formula 1 heroes." Is F1 gambling with its integrity by allowing in-race betting?